I think that the colors they chose are wonderful! They love crochetting! 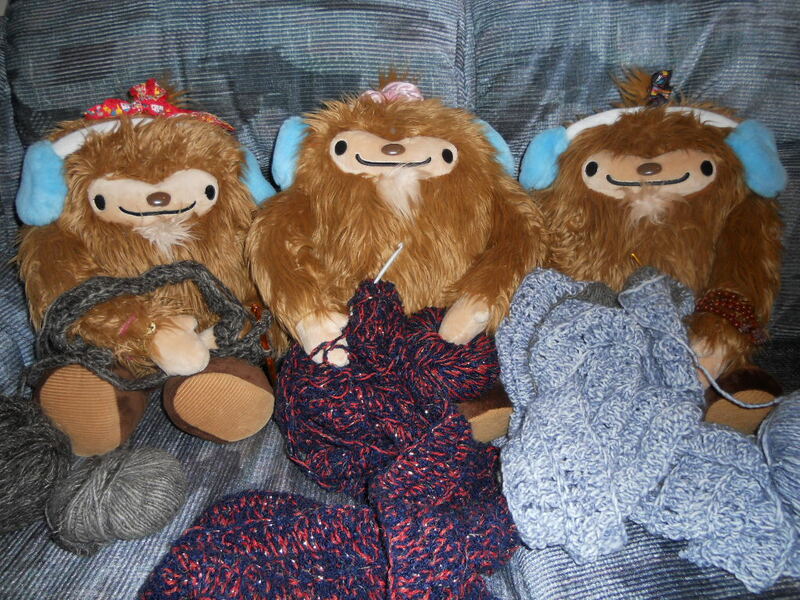 Lately, there has been a lot of storms and rain , so the girls (Quatchette, Quatch-Anne, and Quatch-Lynn) have decided to start on some Christmas scarves. The end of the blog! I know! I feel so blessed to have such loving Quatchis’! Just found your blog. We love our Quatchi, too. Unfortunately, he’s an only child. But we LOVE finding out what his relatives are doing. Glad to hear that there are other relatives out there. The clan loves hearing from others!